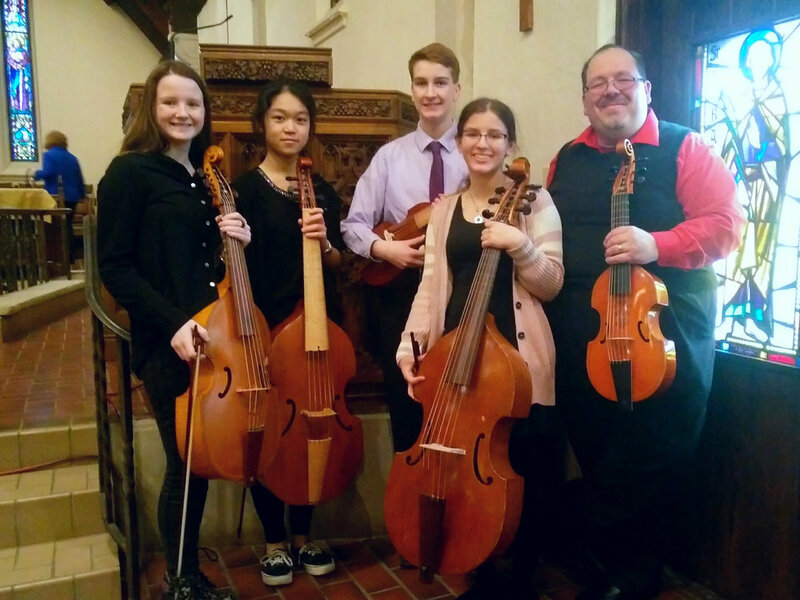 As part of its Consort Loan Program, the Viola da Gamba Society of America (VdGSA) has generously loaned Bach Academy faculty member Dr. Phillip Serna five viols to start a viol consort program at The Bach Academy. A family of 'bowed guitars,' popular from the Renaissance through Baroque periods, the viol/ viola da gamba family developed in Spain in the early 1400s - 70 years before the violin family developed in Italy. The double bass is the only modern string instrument that derives from the viol/ viola da gamba family. Similar to the cello, the viol, or viola da gamba, is played between the legs (hence the name 'viola da gamba', literally 'leg-viol'). What does a student viol consort sound like? Check out the clips below of Dr. Serna's students! What are the ages of students for the viol consort? Any student entering grades 8-12, intermediate through advanced players with an established background in bowed stringed instruments. Who will be directing the viol consort? Double bass & viola da gamba faculty member Dr. Phillip Serna will direct The Bach Academy Viols. 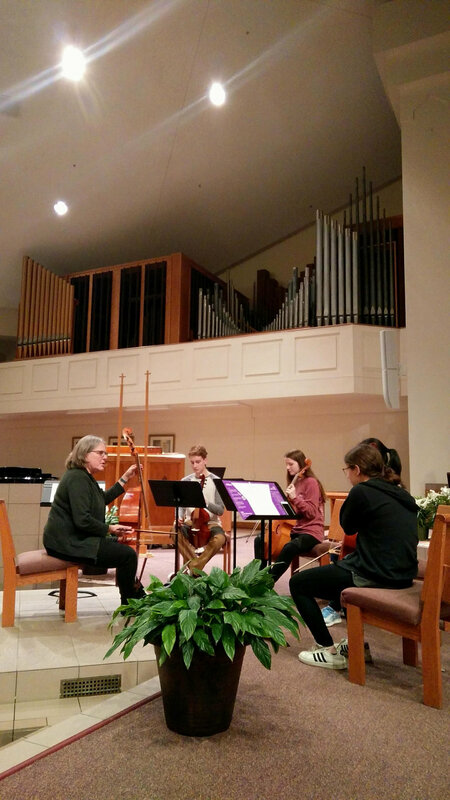 In addition to joining the faculty at North Central College in 2016, Dr. Serna teaches viola da gamba at Valparaiso University and the Music Institute of Chicago, serving as assistant director and sponsor of Illinois’ first public-school period-instrument Baroque ensemble and viol consort at Adlai E. Stevenson High School, and is president of the Viola da Gamba Society 3rd Coast, the Chicago-area chapter of the Viola da Gamba Society of America (VdGSA). You can find out more about Dr. Serna here! How do WE GET involved and how much will it cost? 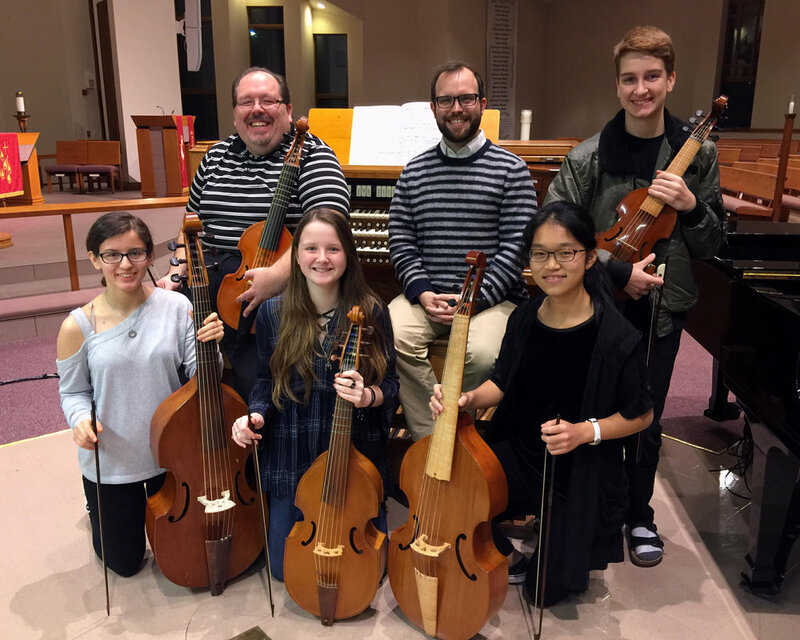 Instrument use is FREE on loan from the Viola da Gamba Society of America! Tuition is $425 (half payable each semester), and will include one 90-min. group session per week over the course of the school year, beginning in September and concluding in June. There is a one-time fee of $70. This includes instructional materials and replacement strings.